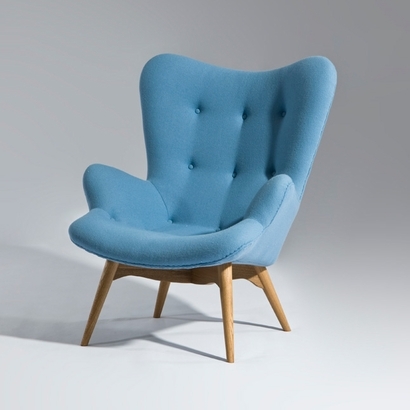 Looking for a Modern Furniture, Lighting or Home Decor? You can find it at inmod. Inmod is a store where you can find your modern decorating needs and shop by Space, Category, Featured Designers or Design your own. They have classic pieces and lots of Modern Eco-Friendly Furniture and Lighting. 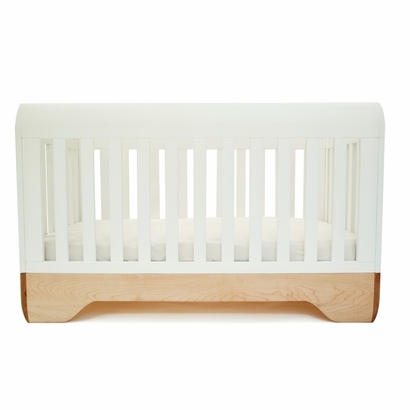 I love this Kalon Studios Echo Crib they carry, which also converts into a toddler bed! Our nursery is decorated with the "Owl" and tree theme so I am always on the hunt for decor that is related to our nature room. 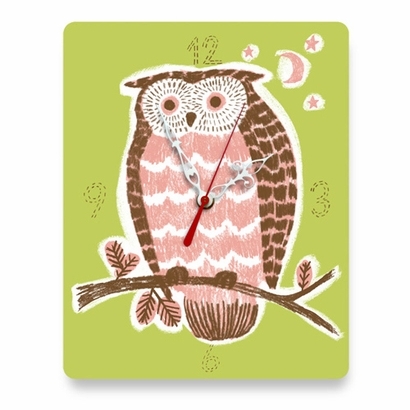 Inmod carries beautiful wall clocks and when I saw the Night Owl Clock I knew we had to have it. I chose the Clipboard backing with the pink and green color combination but if you are looking to decorate a little boys room it also comes in blue/yellow and orange/blue. So cute, modern and I just love seeing it when I walk into the room. As much as I love decorating the nursery, I also love things for the rest of the house. Check out this Grant Featherston Style Contour Lounge Chair. I want it, among other things they carry! I could spend hours looking at all the great stuff at Inmod. To celebrate the Spring and to get you started on all that Spring redecorating we are hosting a giveaway for a Inmod Night Owl Clock. What color combination of the Night Owl Wall Clock would you select if you win? *Limited to US residents (this giveaway excluded Hawaii and Alaska); 18 years old and above. Giveaway starts March 27, 2012 and ends on April 25th, 2012 at midnight PST. Winner will be emailed and has 48 hours to respond before another winner is selected. I was not paid for this giveaway or post. I was provided the item reviewed in this post for free by the company or PR company that represents them. The opinions on this item are 100% mine and may vary from others. The sponsor is responsible for providing the prize. the pink and yellow i think! I like the Pink/Green Best but the Yellow/Pink would also work. pink and green for sure! A marie hj saver is my fb name.